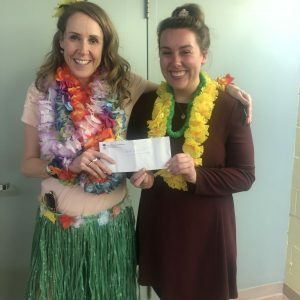 Your donations help to sustain important and greatly appreciated programs such as professional development for staff and two post-secondary bursaries. One for staff and/or staff dependents and one for our volunteers entering or returning to post-secondary education institutions. 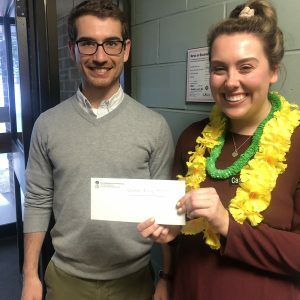 Photo Above: 2019 Post-Secondary Staff Bursary Winner Sarah Draper and Volunteer Bursary Winner Joshua Shanks with Foundation Coordinator Cassandra Hanson.